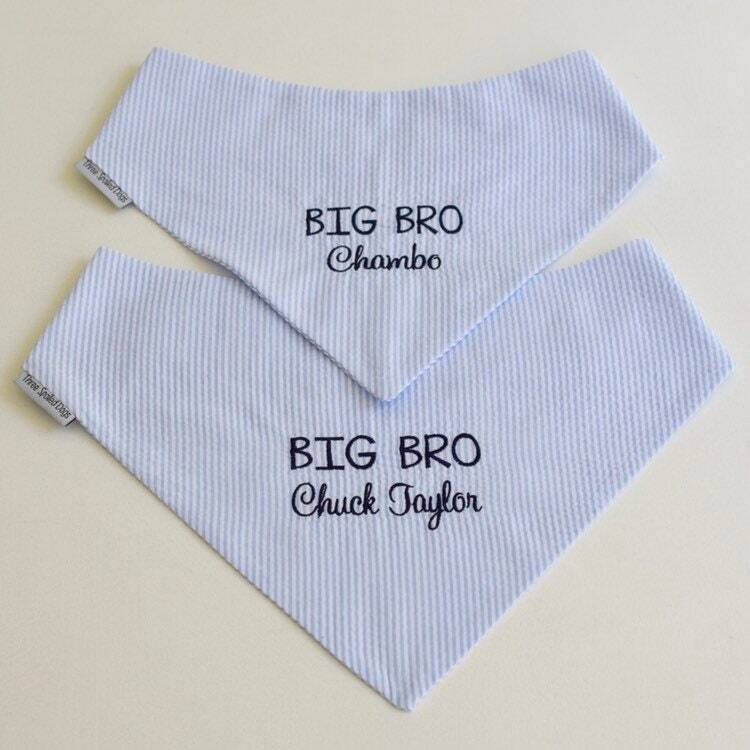 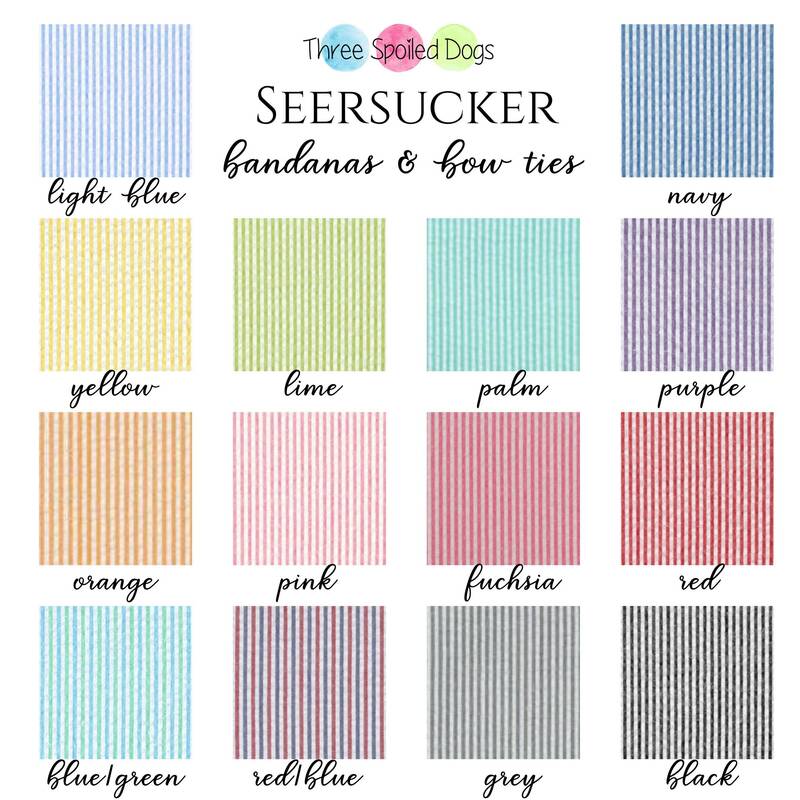 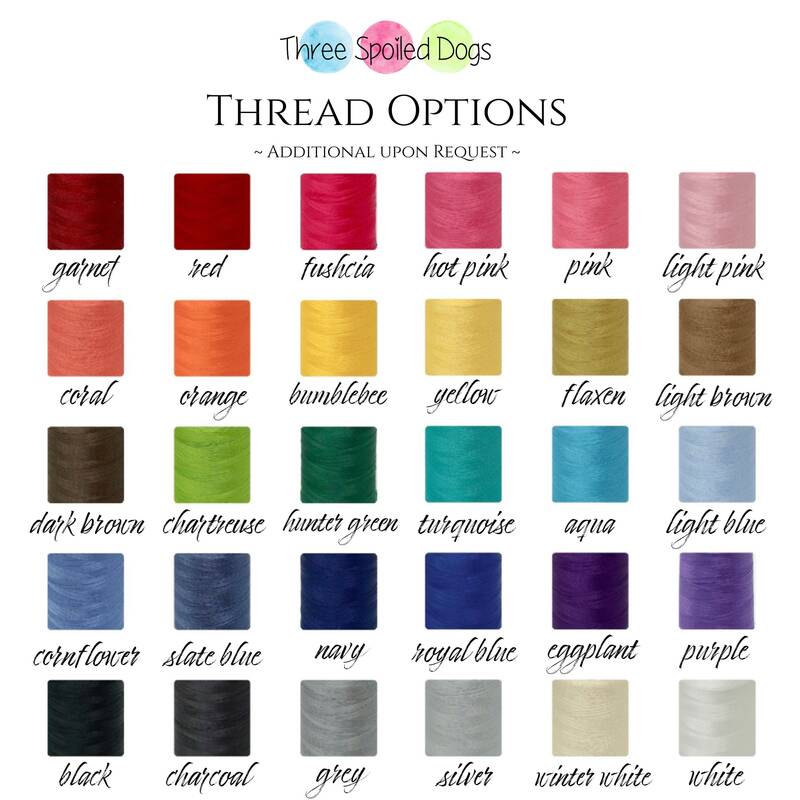 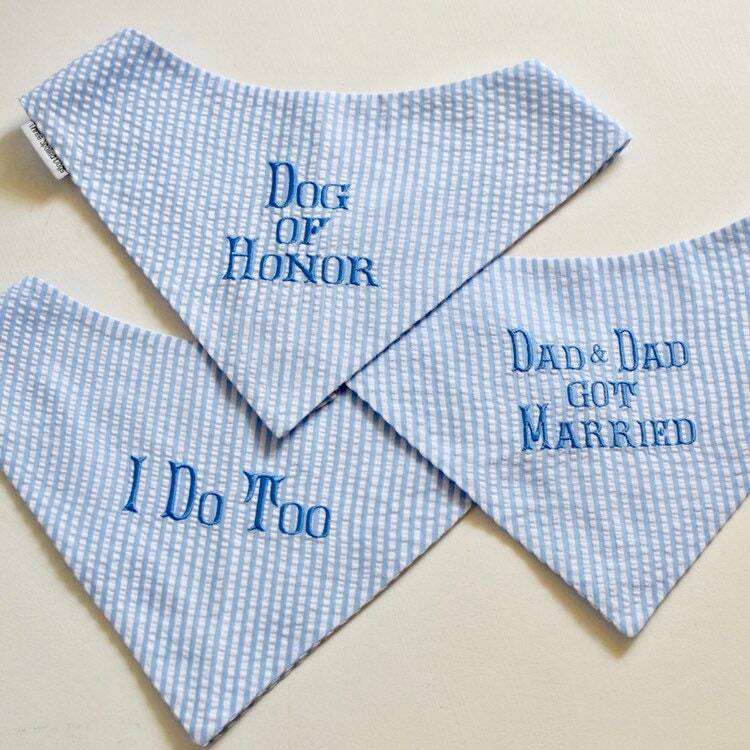 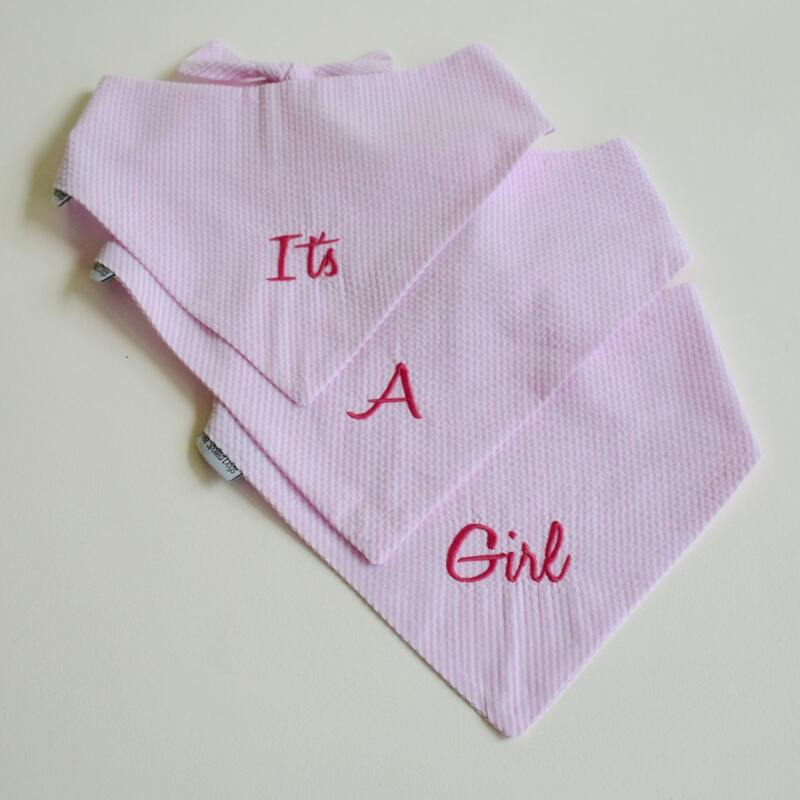 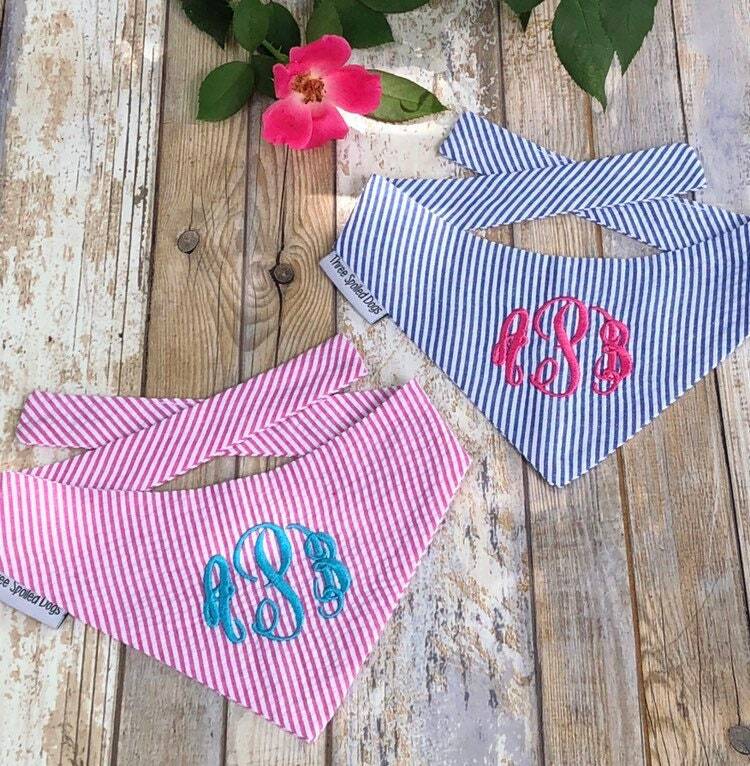 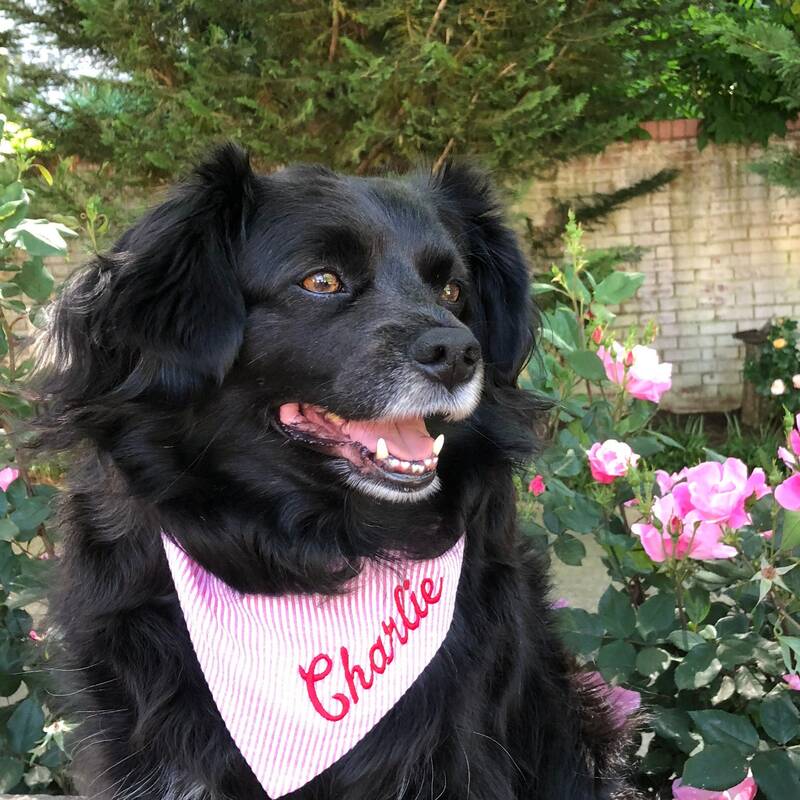 Personalized Pet Bandana in the Seersucker color of your choice. 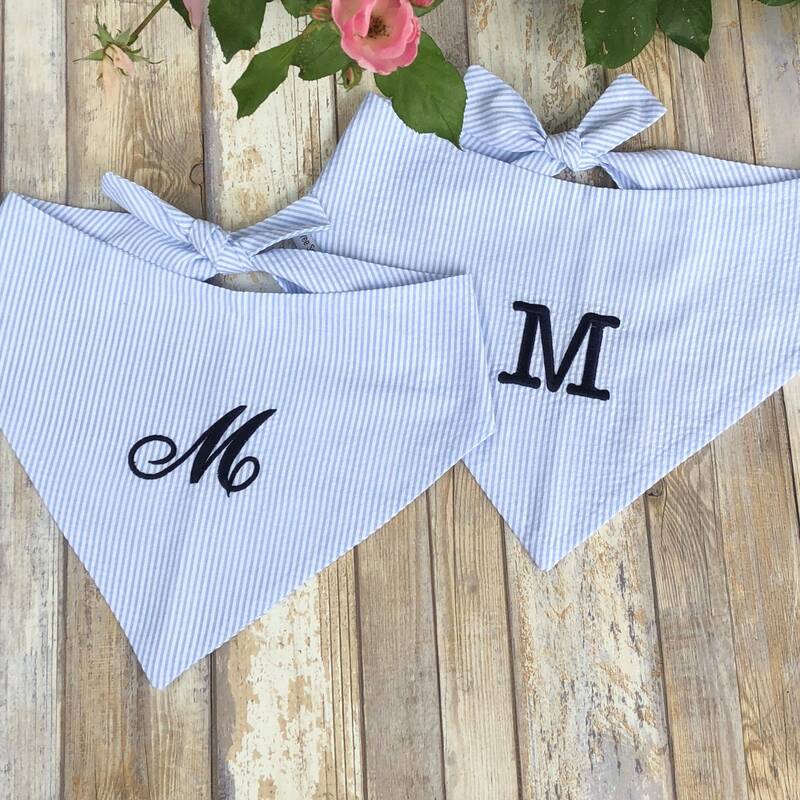 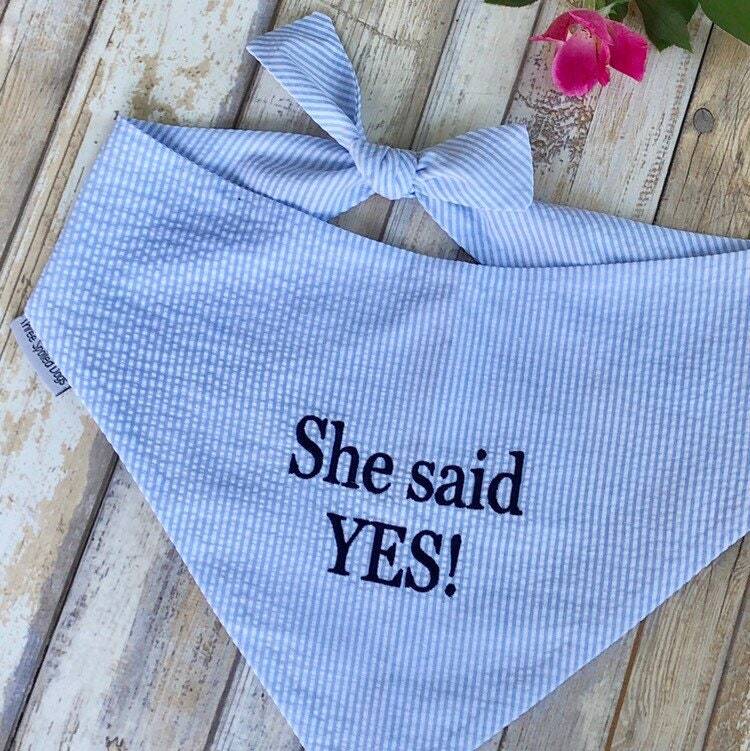 ✨ Our unique and stylish Classic Tie Dog Bandanas are designed and finished to be reversible, so you get two beautiful bandanas for the price of one. 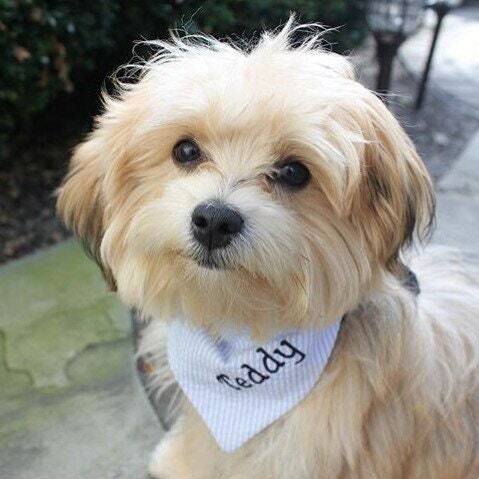 Abby always looks the best in TSD bandanas as they so stylish and well made!